A rectangular display with graphics stretching across the top/ bottom/ side bars of a website is called banner advertisement. The banners which go across the to and bottom are called leader boards while the one at the side bars is called a sky scraper. banner ads are more of image based than of text and form a popular form of web site advertising. The main purpose of banner advertising is that to promote a particular brand and get visitors from the host website to the advertiser’s web site. Ensure that the graphics and text used clearly indicates the message: Main objective of the banner ads is to perform an act after the user views the ad. For capturing the users interest a strong and clear message helps. Clear message deals with conveying the potential customers understanding and benefits of the product you are offering. Positioning in the right web site: Design the banner ads only after looking at the site you want to run. Look over the templates, colors and font of the site. Make sure that the web site you choose has effective audience for the type of your business. Ensure that the potential customers don’t distract because of the content while their visit. Research for the best ad: Before creating internet ads for yourself start analyzing competitors ads where certain ideas can be generated. 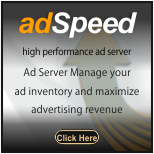 It will help in adding additional attractive features in your ads. Keep the size of the ad small: Some ad servers and websites give certain limit to the size of the ad. Whether it is indicated or not always keep your file size low. Any ad should not be exceeded more than 50 KB. In case the file size is bigger, more time will be taken for the website to load so the chance of the user leaving the website before the ad display occurs. One of the easiest ways for making the file size small is to limit the colors and save in GIF format. Internet advertising require some creativeness to grab the attention of the users and give good results. The way in which the marketer combine graphics, animation, words and colors leads to success of the campaign.